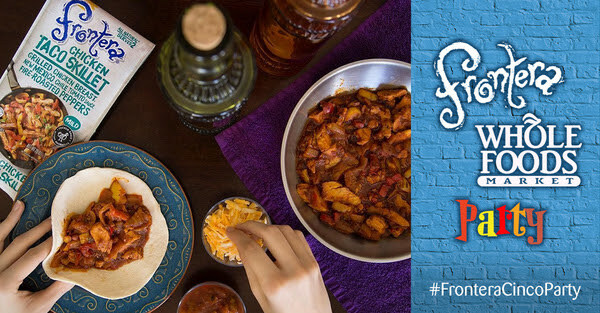 Host a Frontera Whole Foods Party! March 24, 2019 March 24, 2019 Abby H.
Houseparty by Ripplestreet has a great party coming up, and they are accepting applications right now! If you’ve never heard of Houseparty by Ripplestreet, you can learn more here. I’ve already applied! It’s that time again- Clean out the closets and dressers and get swapping! I love clothing swaps- it’s a great way to get gently worn clothes and other goods (I love looking for linens and new accessories), and get rid of the clothing your kids have outgrown. The Skyline Swap is scheduled for March 30, 2019. I’ve got it in my calendar and I’ve started the bag of clothes to swap! It costs $2.00 to get in, kids under 12 are free. Not strictly clothing related, there is the San Diego Really, Really Free Market. They also meet about once a quarter in various areas around town. Also not strictly Clothing Related, but one of my favorite give back orgs is the Buy Nothing Project. There are chapters all over the US, and we have a few here in San Diego. Trendy Trade hosts events all over the West Coast at various times throughout the year. Don’t forget Freecycle. Do a quick google search for Clothing swap + the name of your city.